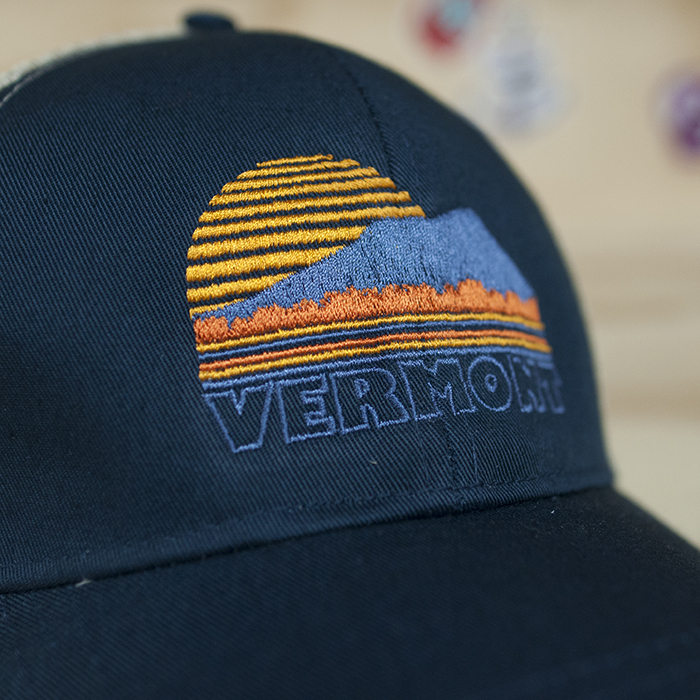 NEW DUDS | SCREEN PRINTING & ILLUSTRATION — What's New at New Duds? The latest New Duds product is here, just in time for the Spring sun to shine! 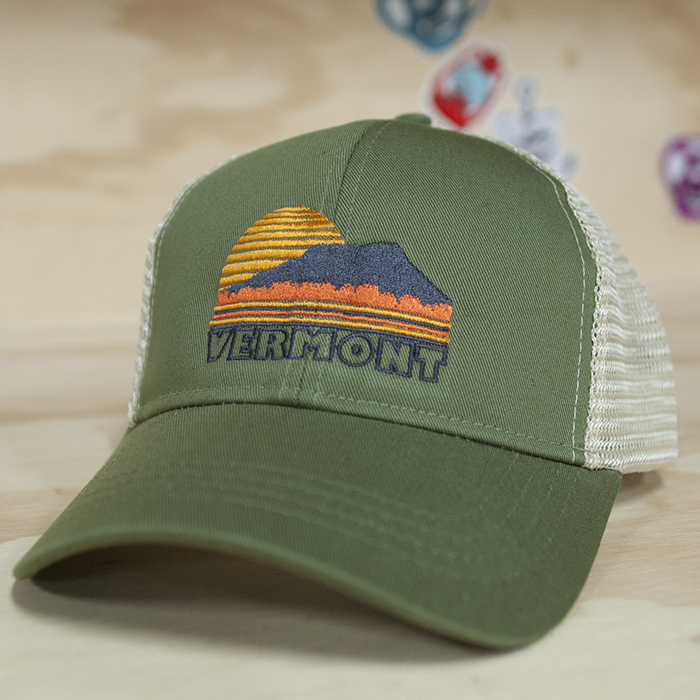 On sale through the weekend for $25 (regular price $29). 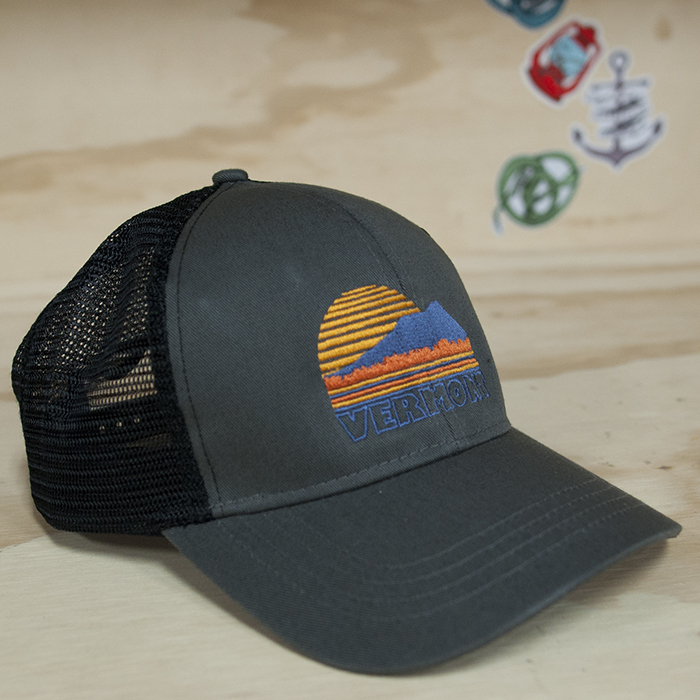 High quality canvas front, mesh back trucker hat with embroidered Vermont Sunset design by New Duds. Blue, orange, and yellow thread. Navy and green hats have khaki mesh back. Grey has black mesh back. New Duds Vermont State logo embroidered on back side of each. Adjustable sizing.